Thank you to Kiwi Magazine and Moms Meet for sponsoring this post, and for hosting Housewives of Frederick County at the WOW Summit. As always, all opinions are my own! Are you interested in buying only the healthiest products for you and your family? Are you intrigued by the social media and blogging world? If you answered ‘yes’ to either of these questions, then I’ve got 8 reasons you should go to the WOW Summit! Firstly, what is the WOW Summit? 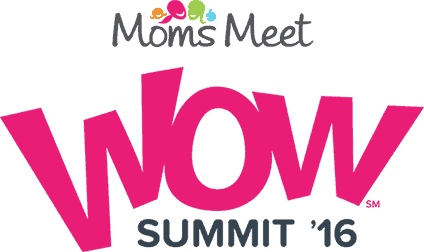 The Moms Meet WOW Summit will take place in National Harbor, MD (8 miles from Washington D.C.) on Oct 7-8. 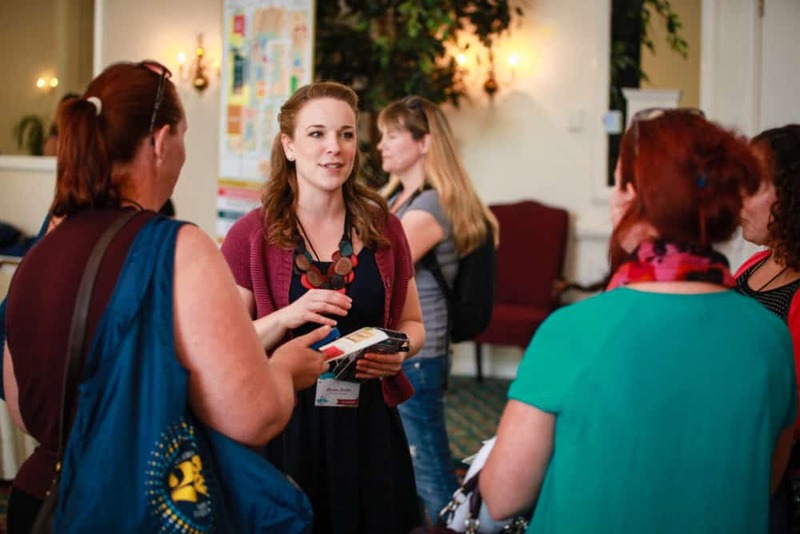 This annual conference brings healthy-minded moms and bloggers together to attend expert-led seminars and workshops, sample amazing products, build lifelong connections, and have fun! Friday’s events will be all about bloggers! We’ll kick off with several workshop sessions, where you’ll learn from successful bloggers about building your brand, boosting your social media presence, and more. Then, we’ll have a special networking event (think speed dating) where bloggers and brands can connect one-on-one. The day concludes with an awesome comedy and cocktail party where you can unwind and have a fun night! On Saturday, get ready for a full day of learning and connecting with like-minded moms. Moms in attendance will hear from guest speakers, attend educational workshops, and sample tons of free products in our exhibitor room. At the end of the day, you’ll walk away with an amazing goody bag! #1 It’s Local for Us DMV Peeps! The Summit is being held at the Gaylord National Resort and Convention Center which is located 8 miles out of Washington, DC. If you haven’t visited the National Harbor or the Gaylord, you are in for a treat! #2 It Will Be So Much Fun! On the Friday evening of the Summit, there is a scheduled cocktail and comedy hour! There will also be raffled off prizes! During the conference, there will be breaks when you will have the opportunity to explore the resort and/or the shops and restaurants at the National Harbor! PLUS, you will be surrounded by like-minded people so how can it possibly not be fun! #3 Brands and Sponsors Who Are All About Health! We all want to be healthy, right? And, especially if you have kids – you want to provide them with healthy food and daily living products as much as you can! The brands and sponsors of this conference focus on all things healthy. To name a few, Solgar, National Geographic Kids, Tasty Bite and Mary’s Gone Crackers will be at the Summit! The sponsors and brands will be in the exhibitor hall for you to sample their products! And, if you’re a blogger interested in working with these brands, what better opportunity is there to meet face to face! Who doesn’t LOVE free swag? At the end of the conference, everybody will leave with a goody bag full of free samples, coupons and goodies – all worth $100! I, personally, SO enjoy soaking up knowledge. Especially on topics that I’m passionate about and interested in. So, on the Friday of the conference, the workshop sessions will be geared toward bloggers and/or people who are interested in becoming a blogger! On the Saturday of the conference, the sessions will focus on healthy parenting! So, obviously anybody with kids in their lives would benefit from attending these sessions. You know that saying, “It’s not always WHAT you know, but WHO you know.” This is so true on so many levels. If you go to the WOW Summit, you will have the opportunity to meet and network with: other people just like you (parents, bloggers, health-minded people), brands (there will be a brand/blogger speed networking event! ), and industry experts! Don’t forget your business cards! #7 Take This Time For Yourself! I’m always telling myself that I really need to go to another blogging conference, but I haven’t been to one for a few years! That’s just sad. I’m so looking forward to having some uninterrupted time with my blogging partner-in-crime (my twin sister Pam), and getting some great new, relevant information to further our blog and ourselves! Oh, and staying at the Gaylord – ahem, just a teensy bit excited to do that! #8 Spend Some Time With Us! Ok, maybe that’s not as enticing as the other reasons but Pam and I think we’re pretty darn fun to hang out with! If you haven’t been to a conference before, don’t be intimidated. Just be yourself and you will gravitate toward your type of people and vice versa! Watch this short video of last year’s WOW Summit! I finally got around to reading this–ha, ha, after you filled me in yesterday!! It sounds really fun and I hope you learn a lot and have a great time!!!! Thanks Cheryl! We are so looking forward to it!